Internet of Things Network Leader Receives Top Honor at Annual Investor Event in London. 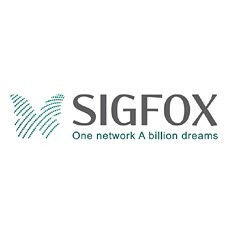 SIGFOX was named Europe’s Allstar Company Thursday at the 2015 Europe Investor Allstar Awards event in London. Following a live presentation by SIGFOX CEO Ludovic Le Moan, a jury of major investors voted the company Europe’s most valuable technology company. Other leading technology companies on the shortlist for the award were Auctionata, Believe Digital, HelloFresh and Lendinvest. The Investor Allstars has been called the “Oscars” and “Must Attend” event for the European entrepreneurial and investor community for celebrating the success of Europe’s entrepreneurial ecosystem and drawing attention to the risk takers and CEOs who are creating the global winners of tomorrow. Other award categories included VC Fund of the Year, Growth Fund of the Year, Exit of the Year and Entrepreneur of the Year.